Friday we held a program at the temple, and it was really nice. Kirtan and Gaura Arati. A handful of devotees came, and Yudhisthira gave a nice lecture from Bhagavad Gita. Saturday we did a harinam at Grunerløkka in Oslo. We were 5 devotees, and it was really great. So many friendly people walked by and joined in in the singing. We had made some dade/nut/carob balls at home, offered them to Krishna, and then we brought them and served them to the people passing by. Prasadam to the people! Hariboool! Yurji, Svetlana, me, Maree and Yudhisthira. After 2,5 hours (and no more voice left!) we went to Krishnas Cuisine to take lunch, and the prasadam was delicious! Krishnas Cuisine Ki Jay! 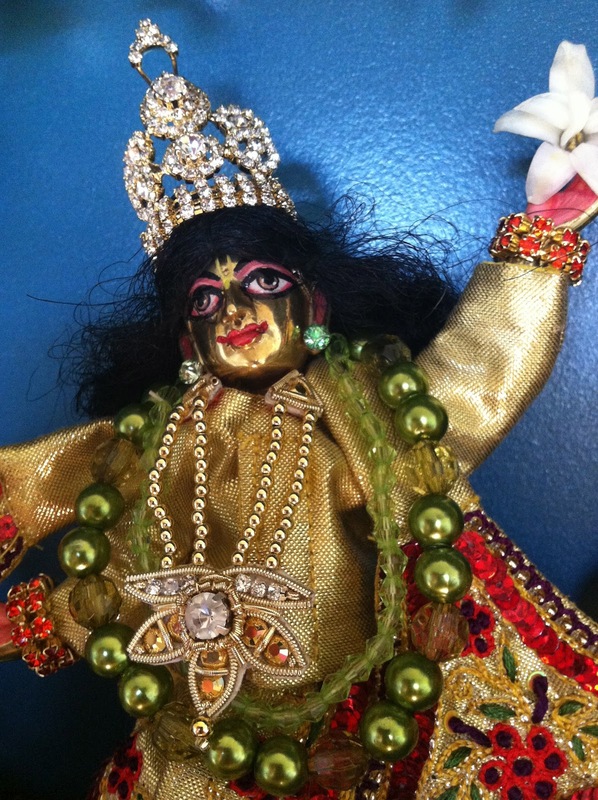 Sunday morning I did poja at home, and Gaura Nitay got their Golden dress on. They look so grand in this dress. Doing poja is so nice, I feel really close to Krishna at these times. Sunday we went to temple early to do service. The temple managers are at the time in India, so we are trying to help out a bit. I don't think I really appreciate my husband as much as I should. I am always impatient and so puffed up. I am praying to Krishna to please teach me to be humble so I can serve him nicer. I really wish to serve my husband well, so that he will be happy with me. I also wish I could serve the Vaisnavas better. 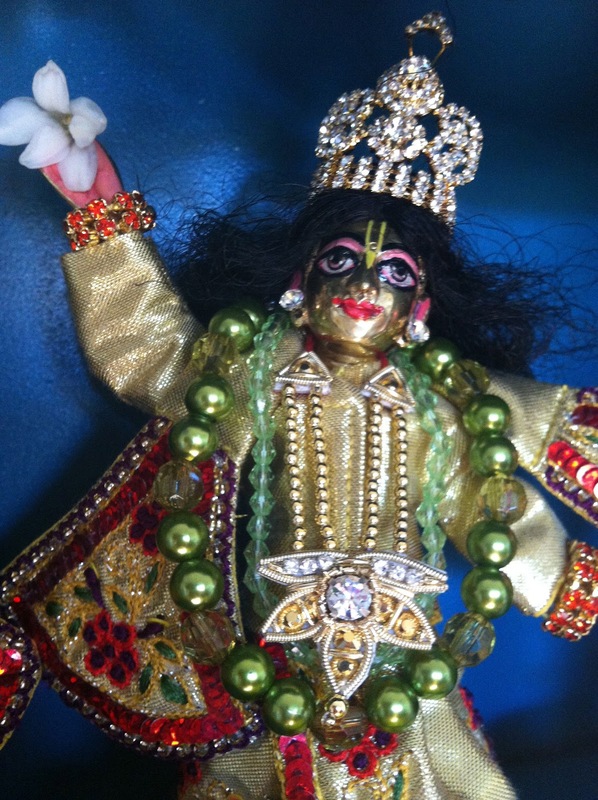 When we serve the devotees Krishna is happy. But how can I see that Krishna is happy? Well, if my Guru Maharaja is happy with me, it's a sign that Krishna is happy. So by pleasing the Guru, one is pleasing Krishna.